It’s always big news when one of the most popular free to play adventure games of all time comes out with new content, but it’s even bigger news when that is a whole new game! Yes, that’s right, Jagex, the creators of the immensely popular RuneScape series, has just announced that their are bringing the next chapter in the RuneScape saga with RuneScape 3. 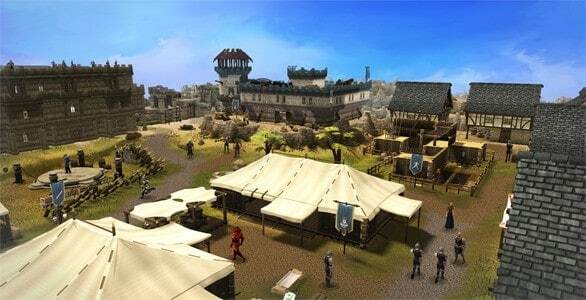 RuneScape 3 will improve on many levels including new graphics, longer draw distances, new audio and new design features. The game will “run faster, look better and feel so much more immersive”, according to RuneScape’s Creative Director Mark Ogilvie. But the new improvements aren’t just tech related, the game will enter in the 6th Age of RuneScape and will build on the massive amount of content updates that have led up to this point. I’m sure more and more details will begin to slowly release as the summer comes, but for now there’s a cool video of the team announcing the new game and some of what to expect in RuneScape 3.